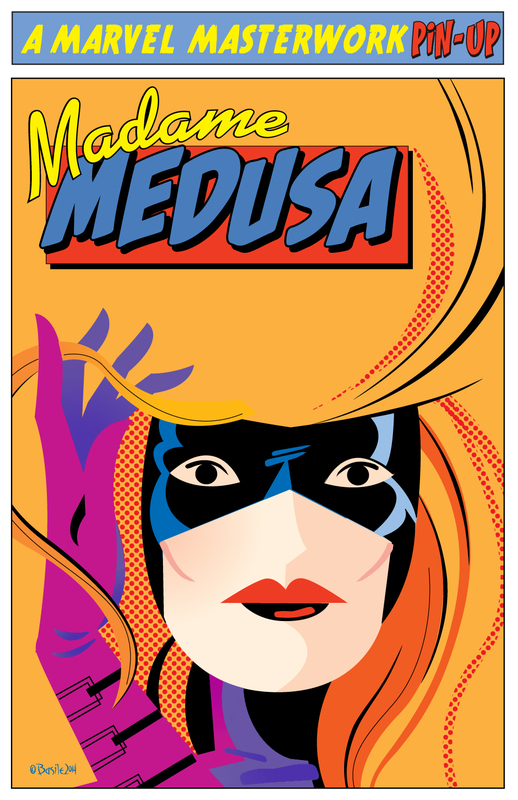 Posted May 21, 2014 in Inhumans, Karnak, Marc Basile, Medusa, Triton. Marc Basile treats us yet again with a trio of Inhuman pin-ups. 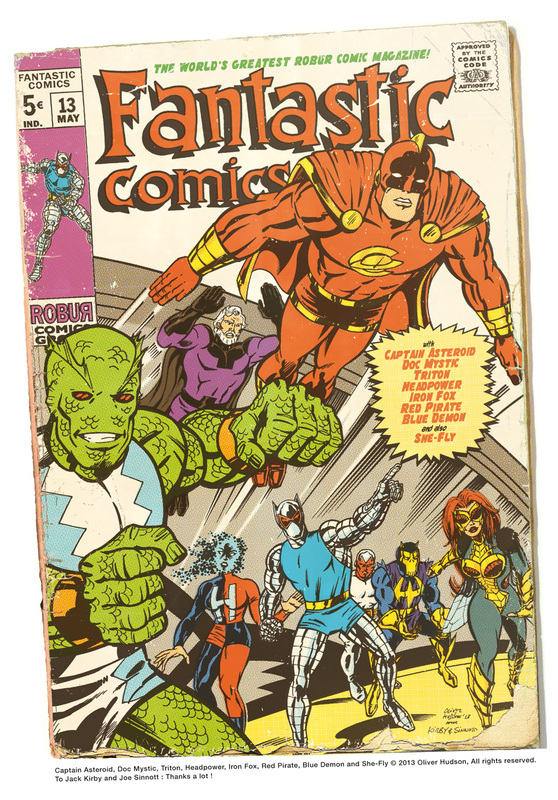 Marvel Masterworks indeed! Posted May 13, 2013 in Crystal, Inhumans, James Burns, Karnak, Medusa. 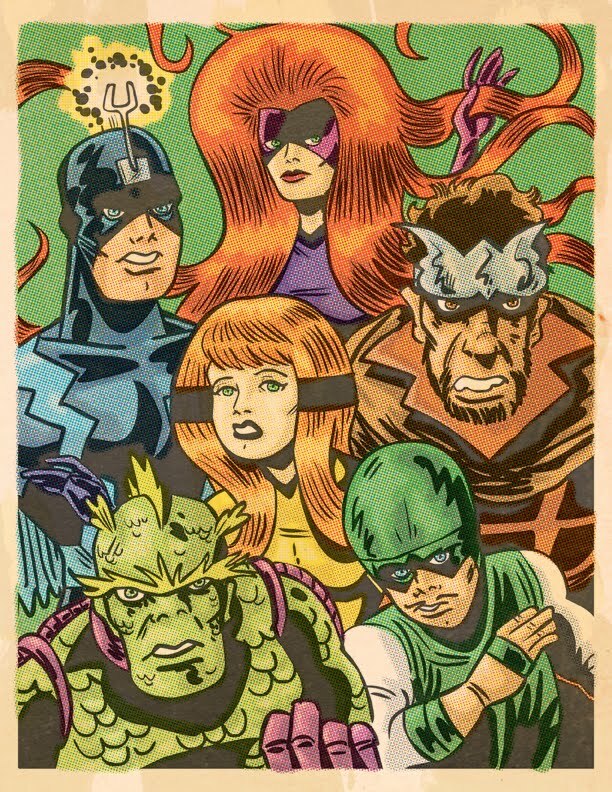 The Inhumans (well some of them at least) courtesy of James Burns. 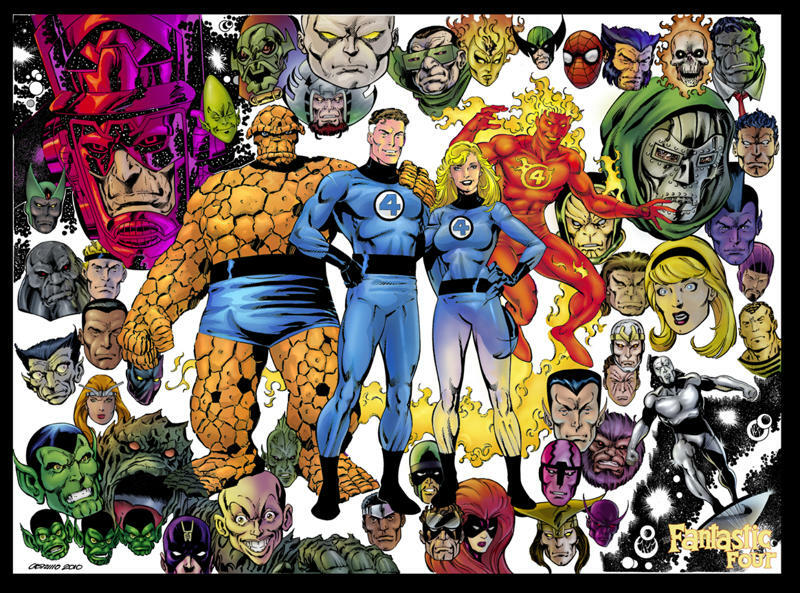 Posted January 16, 2012 in Doctor Doom, Fantastic Four, Galactus, Inhumans, Loston Wallace, Silver Surfer, The Hulk, The Thing. 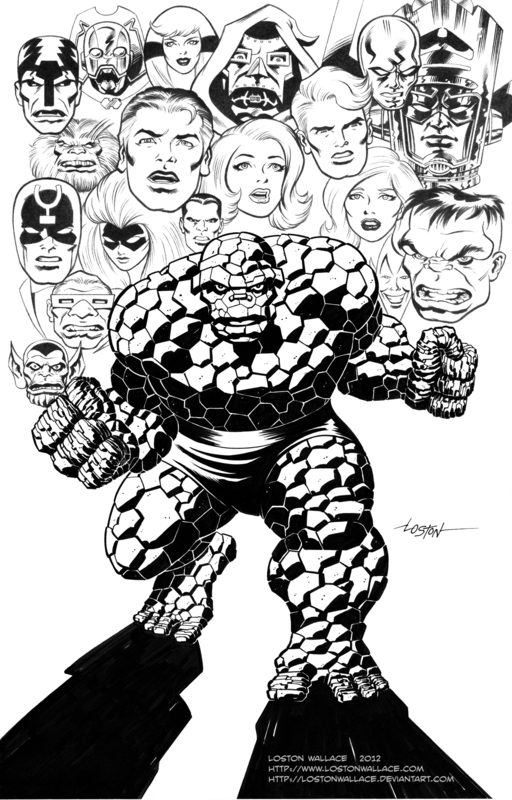 The Thing and a host of Kirby creations adorn this fantastic commission piece (for fellow Kirby-Vision contributor Steve Funnell) courtesy of Loston Wallace. 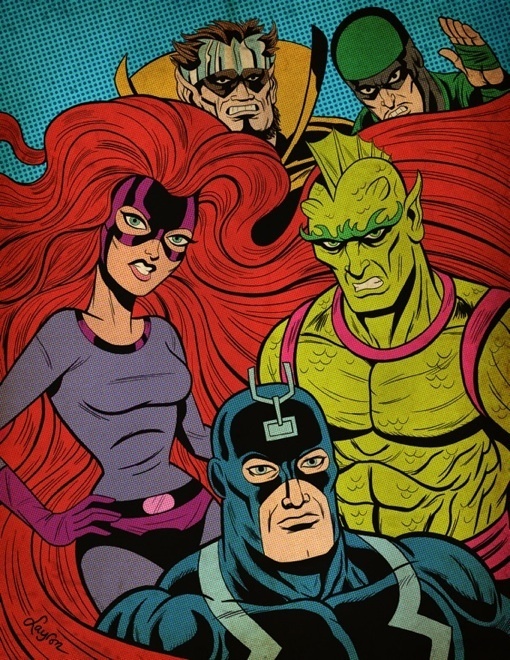 Posted July 6, 2011 in Black Bolt, Brendan Tobin, Crystal, Gorgon, Inhumans, Karnak, Medusa, Triton. 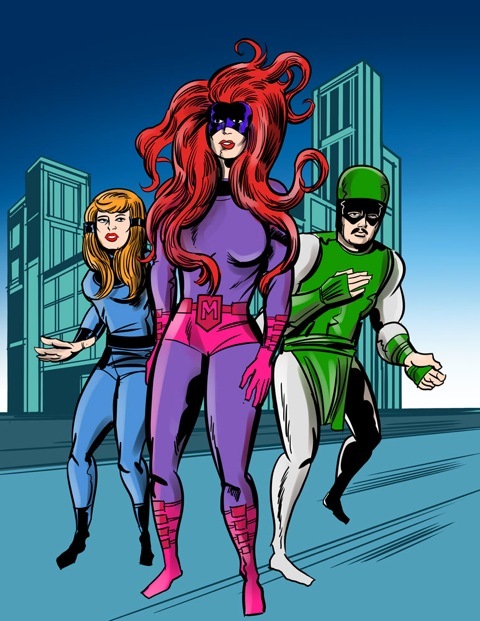 Brendan Tobin takes on the Inhumans. Originally created for Tim Miner’s 5 Minute Marvels, you can discover the evolution of this piece at Brendan’s Blog, here. 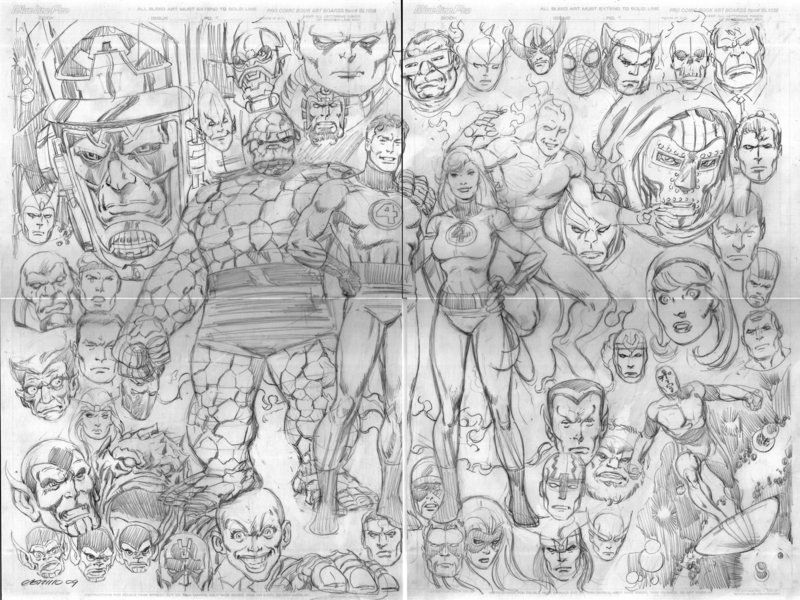 Posted May 5, 2010 in Anthony Castrillo, Doctor Doom, Fantastic Four, Galactus, Inhumans, Silver Surfer. 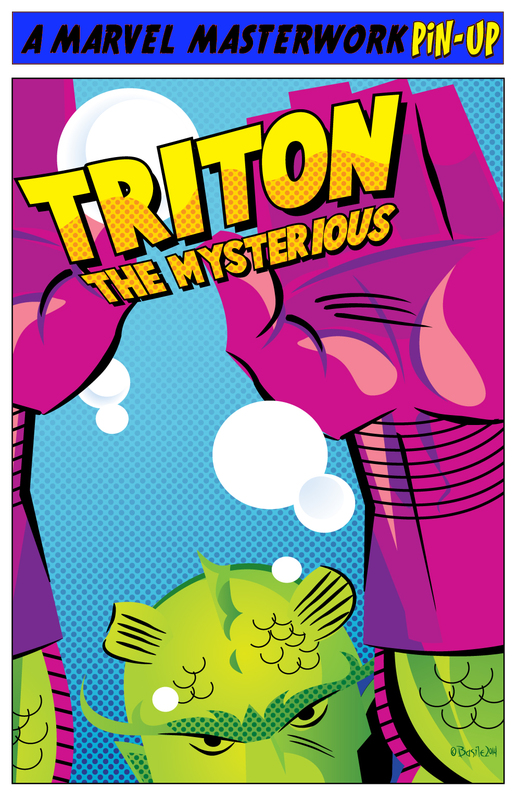 Anthony Castrillo‘s final version of a private commission which was featured here at Kirby-Vision back in February. Hats off to Anthony’s friend Zee who provided the colours. 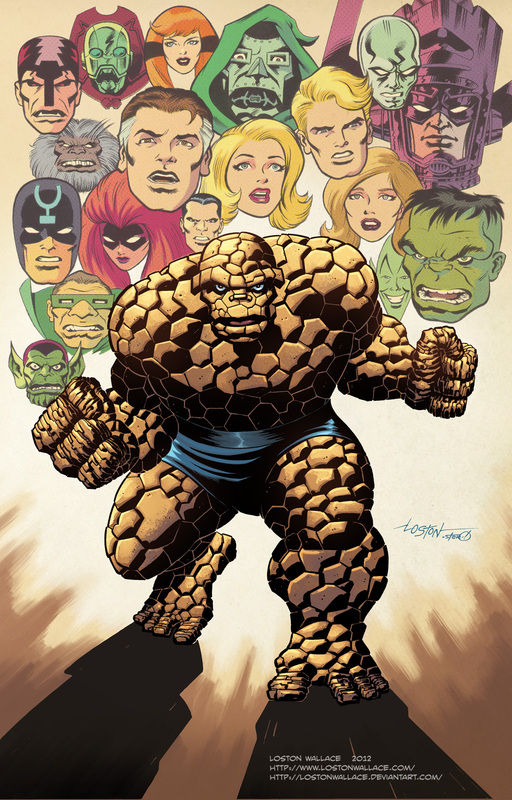 Posted February 5, 2010 in Anthony Castrillo, Doctor Doom, Fantastic Four, Galactus, Inhumans, Silver Surfer. 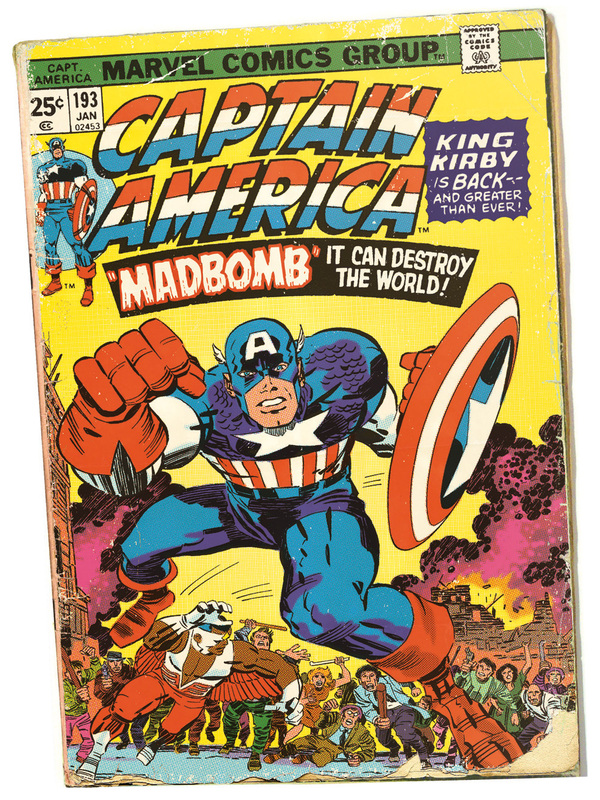 A legion of Kirby creations feature in this private commission by Brooklyn based artist Anthony Castrillo. Anthony originally trained as a graphic designer before moving into comics in the early ’90’s. 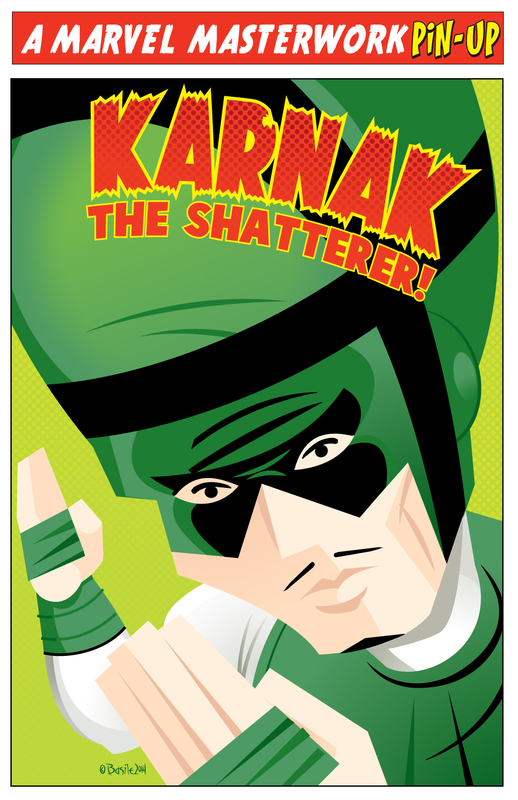 He has worked for both Marvel and DC and describes himself as “a full-time Dad, moonlighting as a cartoonist”. 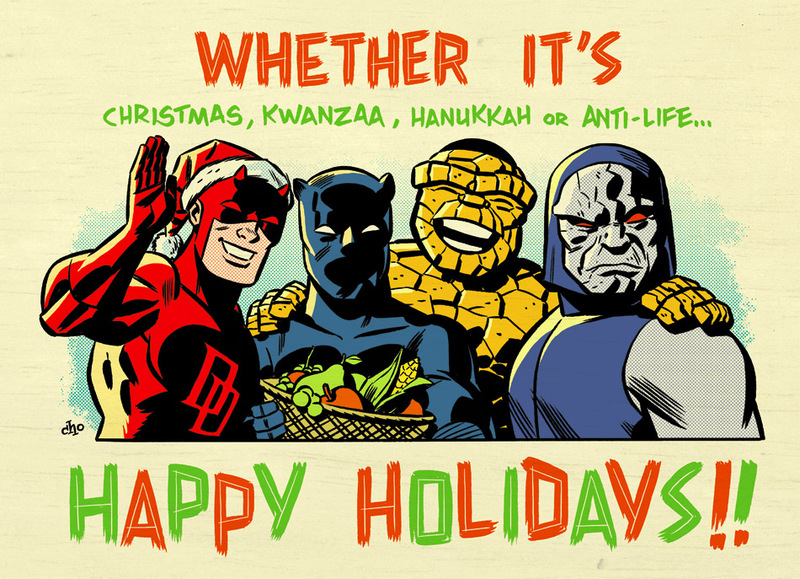 Posted December 23, 2009 in Black Panther, Daredevil, Darkseid, Evan Shaner, Fantastic Four, Galactus, Inhumans, Michael Cho, The Thing. Many thanks to Michael and Evan for these fantastic Kirby inspired Christmas cards. Be sure to take a look at both of their blogs for more great work. 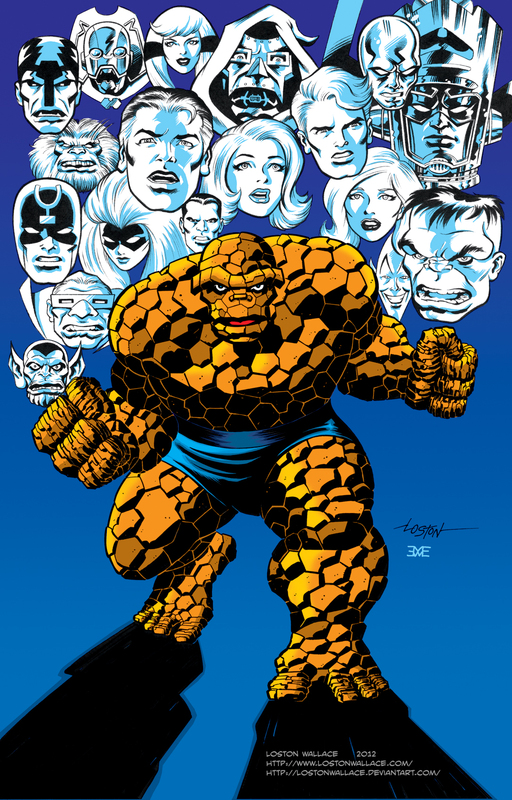 You can see the original cover to Fantastic Four #46 by Jack Kirby and Joe Sinnott, here. 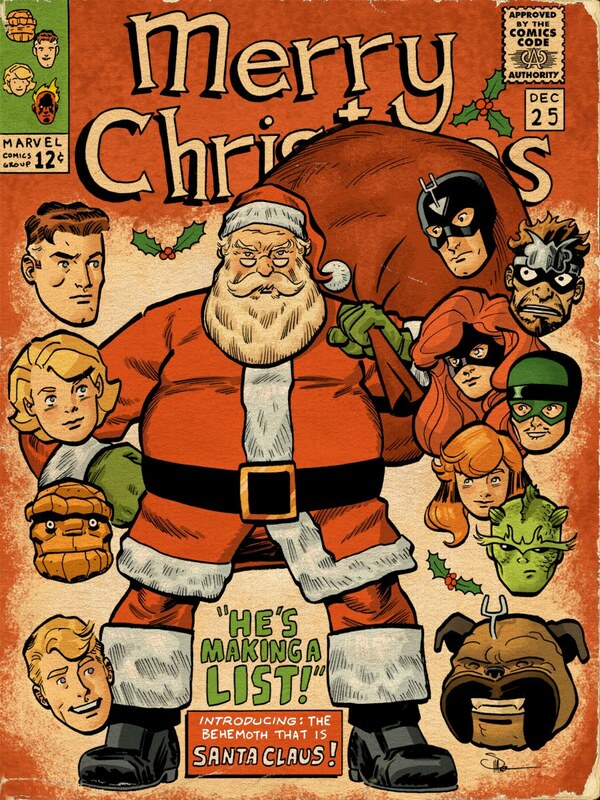 A very merry Christmas and a prosperous New Year to all you Kirby fans out there, Happy Holidays! 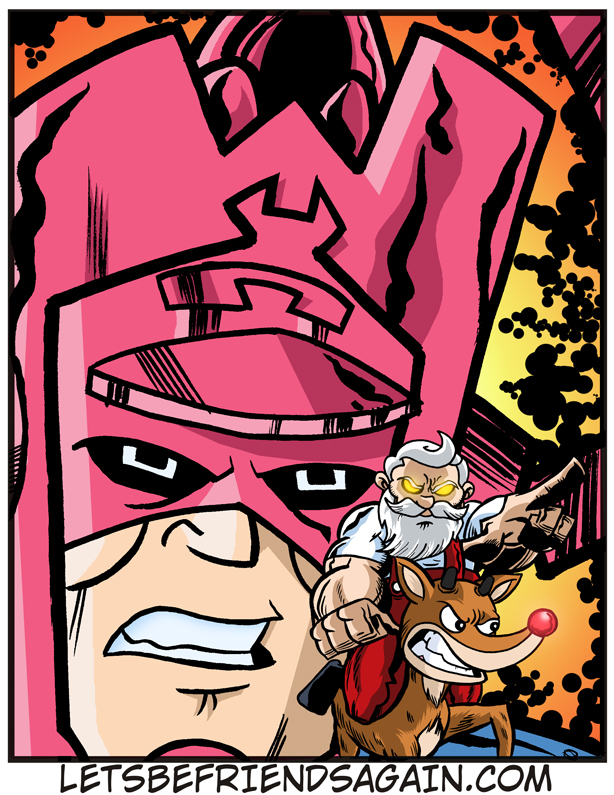 (Late on Christmas Eve, Kirby-Vision received this Kirby inspired piece from Chris Haley, taken from the Christmas strip of his webcomic, Let’s Be Friends Again, which we’d like to belatedly add to this festive post).